CELEBRATING 180 YEARS OF MISSION THIS YEAR! Find out how we will be celebrating the 180th Anniversary of the Building and Opening of our Chapel HERE! We'd love to have you with us to celebrate on Saturday 4th May with our ANNIVERSARY COFFEE MORNING from 10:45am and, on Sunday 5th, please come and join us for our ANNIVERSARY SERVICE at 10:45am and ANNIVERSARY PRAISE at 6:30pm. We have a special Guest Speaker, Deacon Stephen Roe, who served as a Lay Worker in our Circuit from 1999 to 2004, based with us at Old Newton. We have fond memories of the time he and his family spend among us. This 19th Century Church with its refurbished and contemporary designed sanctuary is the centre for a lively, active and welcoming Christian community of around 45 adults plus children. Steward: Mr Rob Wood, Sweet Briar, Stowmarket Road, Old Newton IP14 4EB. 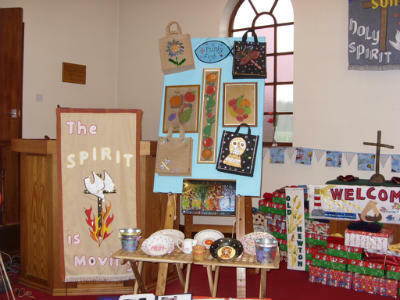 The adjoining hall acts as a focus for a wide range of activities in which the church serves the village community. On the first, third and fifth Tuesdays in the month there is a well attended ‘Pause for Prayer’ session at 10.15am followed by a Coffee Morning. On the first Tuesday of the month there is a lunch from 12.15 to 1.30pm. Bible Study courses are held during Lent and at other times of the year. 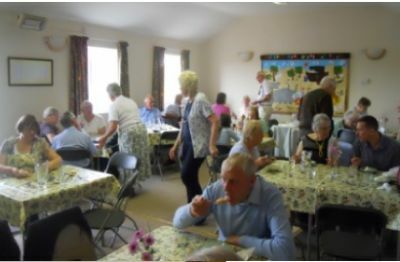 On occasional Friday evenings the church hosts and serves a meal. The atmosphere is warm, intimate and there is always a post-dinner speech or presentation. 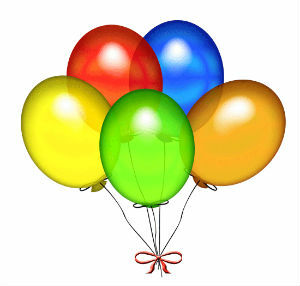 Other social events such as Quizzes, Barbecues and Strawberry Teas give more oppurtunity for outreach as well as fundraising. 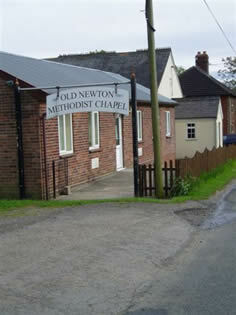 Rooms are available for hire at Old Newton Methodist Church. 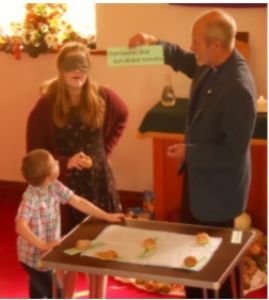 Bookings can be made via the website (see link above)..
All events are advertised in the Church Newsletter which is published monthly and circulated as widely as possible. Youngsters are welcomed and encouraged. Especially for them is ‘The Lighthouse Gang’ for tens and unders, which meet on Sunday mornings. The church enjoys a very close relationship with the Parish Church. 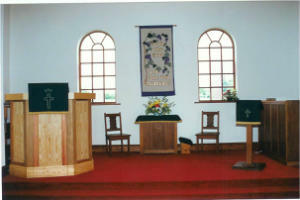 The church has Powerpoint and digital projection facilities.